4 Bedroom Semi Detached House For Sale in Tonbridge for Guide Price £550,000. 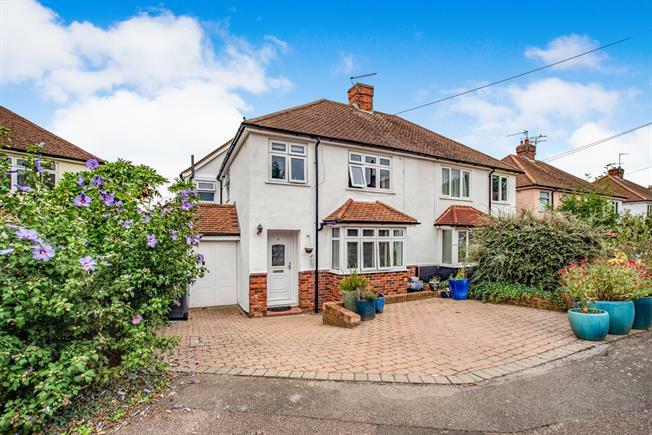 Freeman Forman are delighted to offer for sale this well presented and extended four bedroom family house within easy walking distance of the Tonbridge Station and local schools. The front door opens into a hallway with a further door leading into the cosy living room with large bay window giving lots of natural sunlight. At the rear of the house on the ground floor is a modern fitted kitchen, cloakroom, access to the garage, study area and an impressive large split-level dining area and reception room forming part of the extension. The first floor offers a contemporary modern family bathroom, loft access, a single bedroom plus three double bedrooms. Externally, to the front is a driveway, small garden and access to the garage. At the rear is a long and secluded garden, part terraced and part lawn with brick built barbeque, various fruit trees, mature shrub borders and substantial shed.